3d Printing Parts - Anyone else tried? I got my 3d printer on it's way and one of the first things I'm going to do is print out those spacer blocks for the rear cowl since you can't order those, they don't even show up in the spec sheets for replacements. Should be a great test print for accuracy etc. too! My next mission is to fill the holes in my air box from where I ripped out the huge rubber inlet tubes. I plan to design/print a duct to seal the inlet holes and lead out to the side vents on the front cowl. I built my own custom cowl using some of the original which includes the side vents just enlarged so mine is different, but this should still apply to other F2s with a little modification. 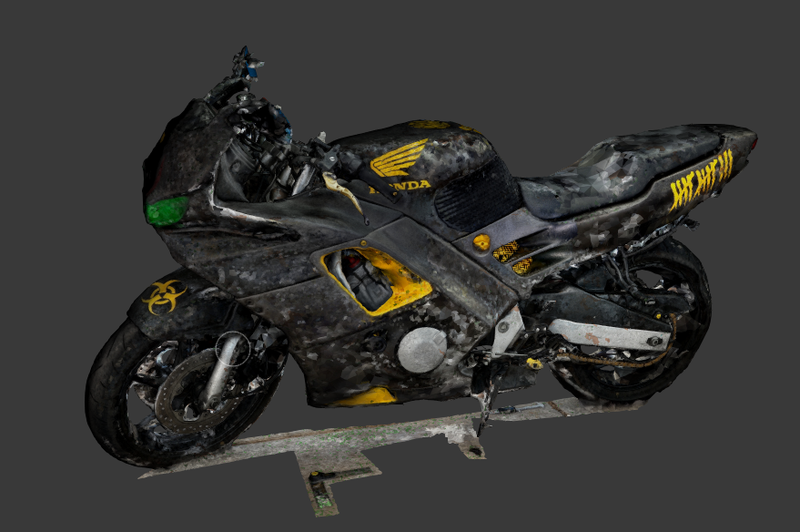 I did a 3d scan of my bike and got a good portion of the model clean up finished. I attached a couple pix for example. You can read the MPH, RPMs, VIN, and almost the ODO! 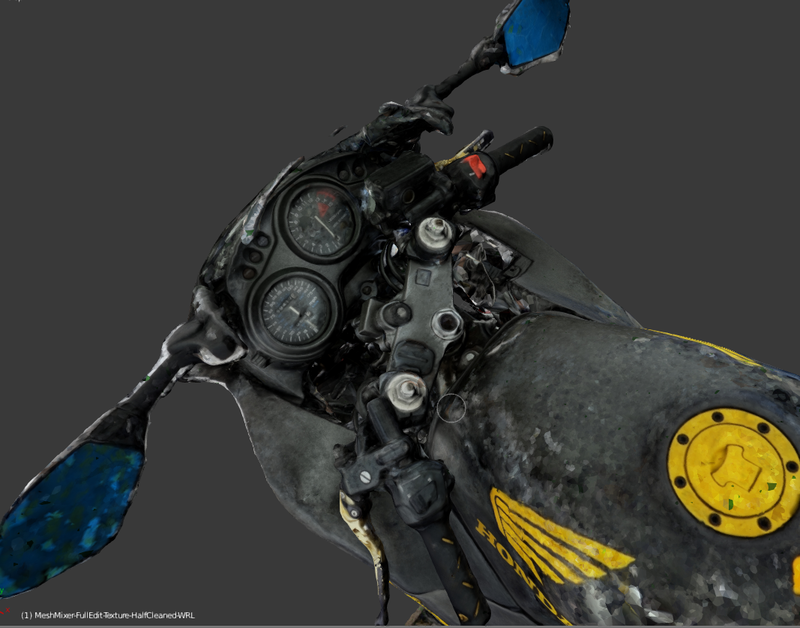 It's to scale and let me tell you 3d scanning a bike is a PITA especially if you have dark, pearlessence-like multi-colored shimmering, high gloss paint. All free with my digi-cam, VisualSFM, MeshLab, cmpmvs, & Blender. I found video worked the best in regards to time but quality def comes from real pix. It's pretty slick and now I can start mocking up the rest headpiece I'm designing for my custom front cowl. This also opens the doors for 3d printing a new front/rear cowl, and all fairings. It's gonna happen once I figure out how to get reliable parts! I'm wondering if anyone has done any 3d parts for the bike already and if so what and what was your experience/lessons learned? Regulator/Rectifier repair, anyone else tried this? Tried Not to die, then tried to kill, calmed down! anyone tried to put a f4 or f4i slip on, on a f2 bike? Quick Reply: 3d Printing Parts - Anyone else tried?